“NY Omotenashi Recipe” is Hideko Colton’s first book and is currently available at Kinokunya Bookstore. “NY Omotenashi Recipe” is Hideko Colton’s first book that’s currently available at Kinokunya Bookstore. The book offers a selection of Ms. Colton’s popular recipes and party ideas enjoyed in her cooking classes and dinner parties conducted in NYC over the past five years. Ms. Colton, a graduate of the Culinary Institute of America ​​in New York, created a cooking class in 2010 called the “NY * hospitality cooking class”. Her unique cooking methods and party ideas has attracted over 1000 students from countries around the globe such as France, Japan, Italy, Hong Kong, and the UK. Ms. Colton’s signature culinary style combines Japanese ingredients and dishes with a modern flair for entertaining and sharing. Look to “NY Omotenashi Recipe” as a guide book for delectable ideas and how-tos for creating an enjoyable “party flow” fit to please any NYC crowd. Hosting an entertaining dinner party in New York City is easier than you think! Ms. Colton has been a NYC resident for the past 25 years and her book shares ideas from home preparations to table coordination to coming up the with perfect drink and food menu. Her fresh and creative ideas offers a New Yorker’s take on the hospitality of Japanese cuisine as evidenced in her NYC parties and public events. Ms. Colton’s debut book is a testament to her passion to bring new life into Japanese cuisine and hospitality. A private dinner with Shizuka, Ms. Colton, and friends after Ms. Colton’s most recent public event held in NYC. SHIZUKA new york Day Spa is listed in The Culture Trip’s list, NYC’s Top 10 Spas: Find Your Urban Relaxation. We’re thrilled for the recognition and invite you to come in to experience our signature facials and body treatments as well as our nail salon, cosmetic services, and much much more! Shizuka Day Spa is all about the Japanese holistic way, offering massages, saunas, and facials to soothe the mind and invigorate the body as well as impeccable nail services for the fashion-forward. Perfect for couples, cliques, or much-needed solo time, Shizuka’s ‘Geisha Facial’ is a popular treatment that keeps customers loyal. 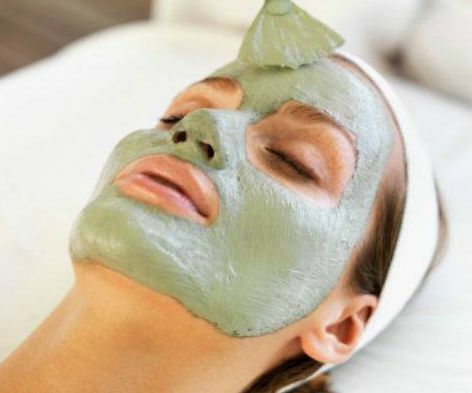 A favorite among celebrities and high-profile figures, this unique facial is made of Nightingale droppings, which is a Japanese tradition to enhance and beautify the skin. On September 30th, 2015 students from the Toyama Barber and Beauty School in Japan traveled to Shizuka Bernstein’s Manhattan spa to hear her speak about the beauty industry in the United States. Following the lecture about beauty and business, students observed and participated in the application of Shizuka New York Day Spa’s Signature Micro Facial (80min, $170). Shizuka demonstrated her signature touches that make every facial and treatment a positively memorable experience for clients. One student from the school interned for Shizuka new york Day Spa for the day to gain real life spa experience answering phones, taking appointments, and cleaning. It was an uplifting experience for all! Here’s a video one student made to commemorate her day at the spa. Every year, the Manhattan Award Program selects local businesses in Manhattan for their marketing achievements to establish themselves as a valuable small business in their community. 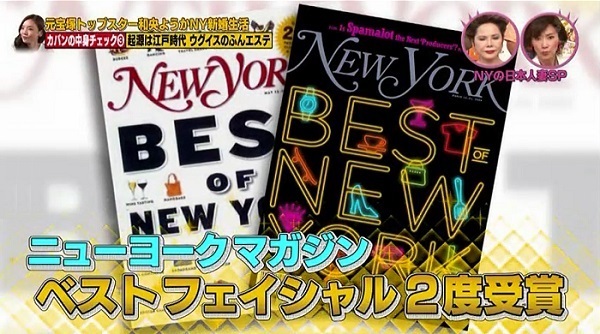 This year the Manhattan Award Program awarded Shizuka New York Day Spa with the Best of Manhattan Day Spa 2015 award. We’re pleased to receive this annual award with a renewed commitment to continue our long-term value to our local and international customers. The Style Network show ‘How do I look‘ hosted by Jeannie Mai and celebrity stylists awarded a spa day at Shizuka new york Day Spa to one lucky makeover contestant. The show lets the contestant’s two closest friends and relatives and a celebrity stylist design a custom makeover contributing to the ‘new look’. In this How Do I Look episode Finola Hughes surprises Emily Blumenthal with a spa day makeover including treatments with Shizuka Bernstein, one of which is the luxuriously pampering Signature Micro Facial. The Signature Micro Facial featured in Allure Magazine is a complete deep cleansing facial that includes a hand and shoulder massage and reflexology foot treatment. Schedule a spa day for yourself or with a friend by choosing a combination of your favorite treatments or choose from our pre-selected Spa Package menu.